A hypoallergenic dog is a dog that typically does well with those who suffer from allergies. There is not a 100% hypoallergenic breed, but there are breeds that are far better than others when it comes to allergy sufferers. Many people believe that because they have severe allergies, they are not able to own a pet. This is not the case. There are several options available that will pose minimal threats to allergy side effects. Below you will find some of the most popular hypoallergenic dog breeds. The poodle is a fan favorite because not only are they extremely cute, but they are also active and intelligent. 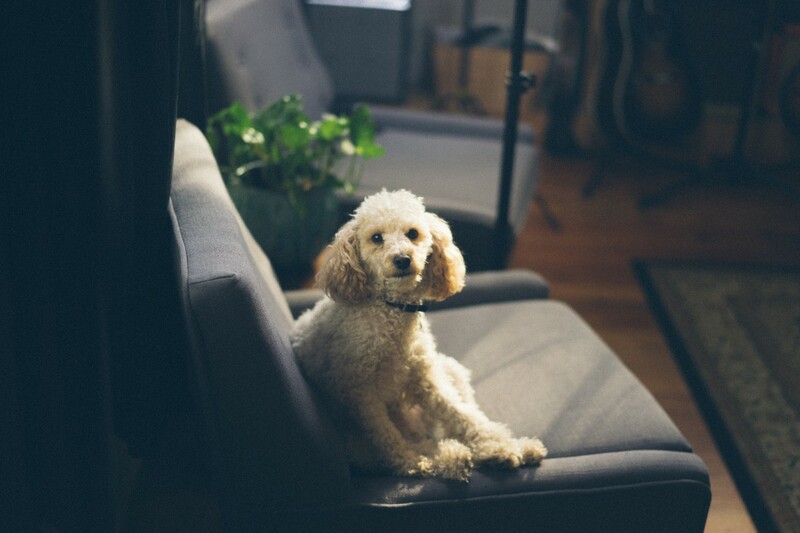 The fur is the biggest issue with allergy sufferers, and poodles shed a minimal amount. Poodles are a little higher maintenance than other dog breeds because their fur can easily become matted. To keep them looking their best, weekly brushings are key. Poodles also have very strong and fast-growing nails that will need to be trimmed on the regular. Cute little dogs seem to be the most common when it comes to a hypoallergenic breed, and that doesn’t stop here. The Maltese breed is non-shedding, talk about a win! A dog of this breed can be your perfect allergy friendly companion. Another small dog, but equally as cute. This breed has a wooly coat that collects very little dander. If you are looking for a hypoallergenic dog that is just as playful as it is allergy friendly, this is a great option. The Shih Tzu is a great family friendly addition. These dogs are kind, outgoing, and very playful. Although small, these dogs can have huge personalities. This breed differs because it has hair rather than fur. It does not shed, hair only falls off once it is broken or brushed – just like human hair! If a little dog isn’t for you, then you are in luck! The Giant Schnauzer is a large dog that still maintains the hypoallergenic element of many small dogs. Although their fur covers a larger surface area, it doesn’t shed that much. These dogs do require some weekly brushing and it is important to keep the fur around the face trimmed. Back to the smaller options, a Yorkie is a very popular hypoallergenic breed. These dogs shed very little, but they do need routine grooming to keep their coat looking it’s best. These dogs do have their own little stubborn an independent streak that tends to come out, so they might not be the best option if you are looking for a family friendly pet. If you have allergies the big reason to choose a hypoallergenic dog is because they have a predictable fur coat that likely sheds in minimal amounts. Animal fur tends to collect dander once it has been shed, and this is the culprit of most allergy side effects. Don’t count yourself out as a pet owner just because your allergies seem to inhibit you, seek out a hypoallergenic dog and give it a go! You will be surprised at the immense change this will bring to you!